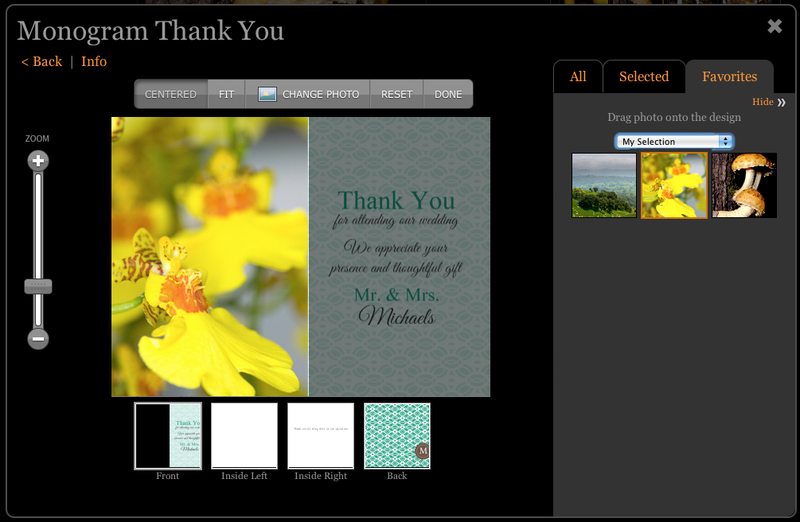 For most all C Ribet photographs I have tried to include the option to purchase at least one card style. I have tried to include the option to get a single card in addition to the packages of 25 cards when possible. However, for most card designs they are in packages of 25 and THIS IS NOT EXPLICITLY STATED BY THE ZENFOLIO ORDER SYSTEM. There is no indication that the $2.00 is for a single card, and the $20.00 and $27.00 prices are for TWENTY FIVE CARDS not just a single card. This is a bug which Zenfolio has not fixed as of Jan 2013. Do not be confused by this - it is just plain wrong. You get 25 cards for the more expensive option. 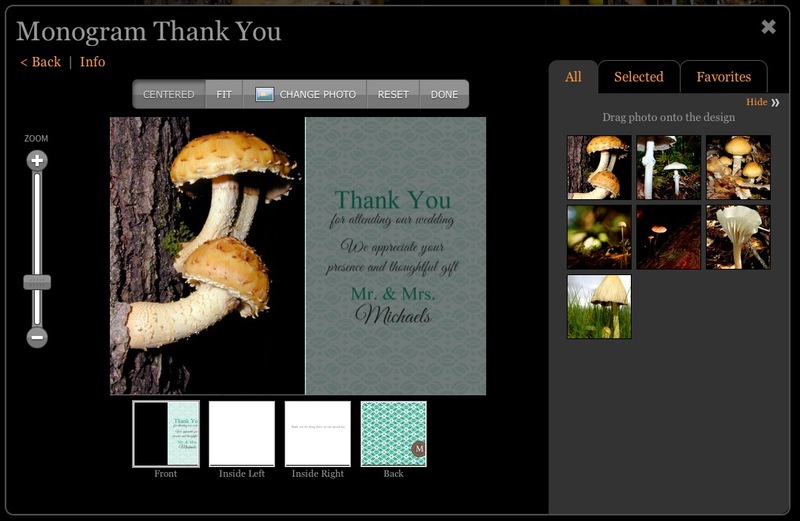 For the simplest card - the 4x8 Photo Greeting Card - it is simply the photo printed on card stock with a blank back. For other more complex cards you may have one or more templates and the ability to change the card design. 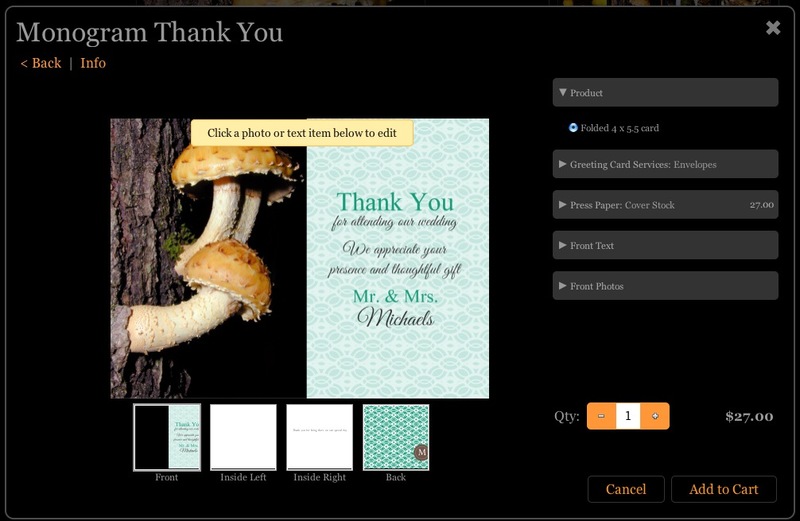 The example below uses the Folded 4x5.5 card to walk through steps for the template for that card. The next steps also are confusing as of Jan 2013. IMPORTANT: There is still no indicatio that you are buying 25 cards for the $27.00 price listed NOT just a single card! Now, for the first time you see the actual image on the card. YOU STILL SEE NO INDICATION THAT THIS IS 25 CARDS FOR $27.00 - it still wrongly implies that you are getting just one card! Now, you can click the image to move or crop it, or change it, click on text to change text, etc. etc. etc. 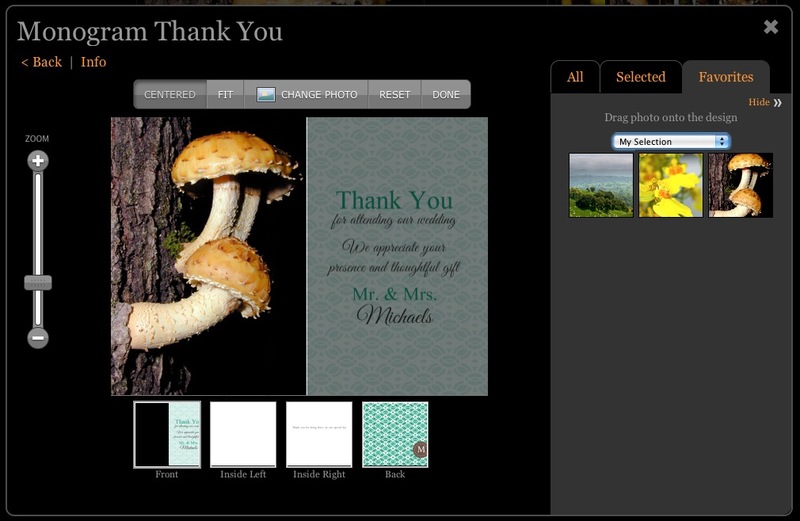 When you are done click the 'Hide>>" text link in the tabbed image selection area and continue with other customization options (changing text insde and front etc.). 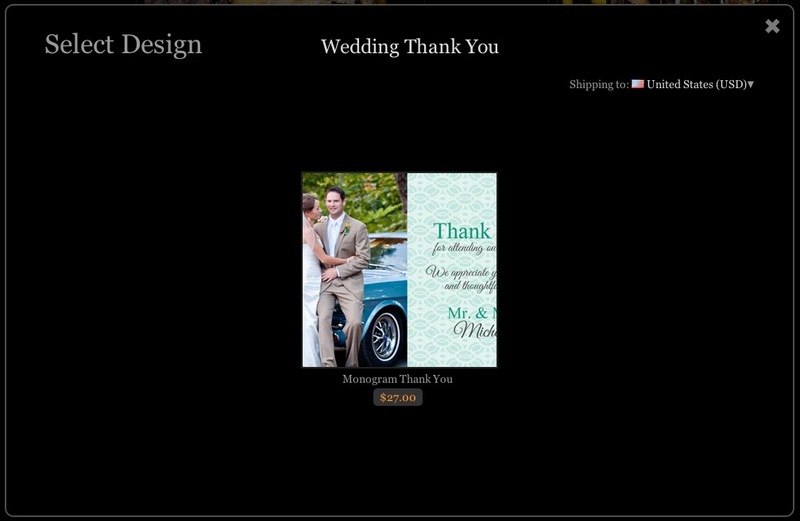 You can at any time in the process save your design and come back to it later because it is an item in your shopping account.